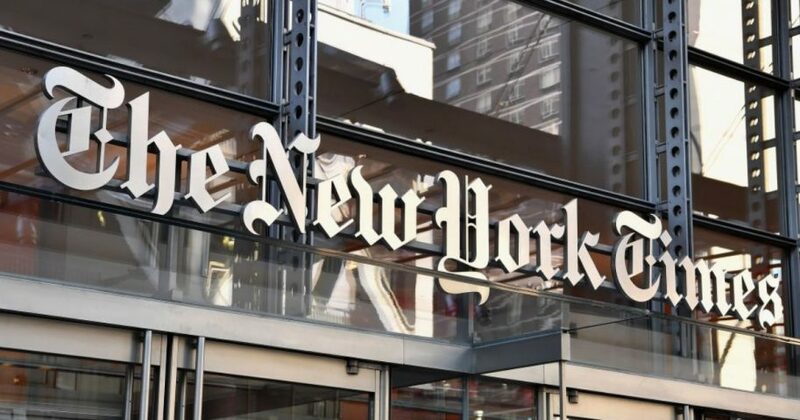 Is the Anonymous NYT Op-Ed Writer Hiding in Plain Sight? A popular adage holds that sometimes the best place to hide is in plain sight. For instance, let’s say a guy robs a bank. He gets away and, obviously, doesn’t want the police to find him. And let’s suppose the guy works for the bank he robbed and is a well-liked, old-time janitor who wore a mask during the robbery on his day off. Where would the police be least likely to look for the bank robber? Probably among the custodial staff at the bank, particularly the popular old man behind his broom who arrived at work bright and early the very next morning and who smiles and greets the police detectives as they go about their investigation. Smart or stupid? Believe it or not, this is how some criminals have alluded arrest for a lifetime, only admitting to their deed on their deathbed to clear their conscience. So where should the president look for this cowardly anonymous Op-Ed writer? President Donald Trump has everyone out looking right now. He has even demanded The New York Times reveal the name of the author and has told Jeff Sessions to open an investigation into the mystery. Trump has suggested that it might not even be a conservative White House official, but a hold-over liberal hiding in the swamp of the sprawling administration bureaucracy. Or maybe, he says, it could be someone who’s not even in the White House administration..
Trump’s aides, close friends, and the rapidly diminishing category of others Trump trusts are looking into every dark corner and at any top White House official that has ever argued with Trump, disparaged him or expressed their dislike for him. A list is emerging and steadily growing, but these names seem to be among the initial consensus candidates. Do you think the anonymous Op-Ed writer will be revealed? Don McGahn — White House counsel. McGahn has plans to leave his high-ranking post in the very near future, has clashed with Trump repeatedly and famously refused to comply with Trump’s order to fire Mueller. Dan Coats — Director of National Intelligence. Coats is a long-time D.C. insider. He has often deviated from Trump’s views and openly criticized him. Trump has openly expressed his hostility toward Coats on numerous occasions. Kellyanne Conway — White House counselor and one of Trump’s longest and closest allies. Conway is, however, a seasoned and wizened political veteran who has an acute sense of which way the wind is blowing at any moment. Additionally, her husband, George, is an active Trump critic on his very busy Twitter account. John Kelly — White House Chief of Staff. Kelly and Trump go at it constantly and Kelly feels his days are numbered at the White House. His career has been a lifetime of service, and he may have felt the Op-Ed would be of critical service to the country at this moment in time. Kirstjen Nielson — Secretary of Homeland Security. She is a very close friend of Kelly’s and has a very rocky relationship with Trump. At a recent cabinet meeting, Trump openly humiliated her over her “ridiculous” stance on illegal immigration. She has, several times, strongly considered resigning. Mike Pence — Vice President. Seemingly beyond reproach, the squeaky clean Pence always seems very happy to stand up for his boss, anytime, anywhere. But Pence has a not-so-secret, burning desire, to be president. The Op-Ed might dramatically accelerate his plans, and no one would ever suspect this nice, smiling Christian man to be capable of such a dastardly deed to his friend the president. With the extreme pressure exerted by President Trump to find the traitorous writer, senior White House officials have promptly come forward to place their names on the “Not Me” list. At present, those on the list include: Mike Pence, Mike Pompeo, Dan Coats, Kirstjen Nielson, James Mattis, Steven Mnuchin, Rick Perry, Nikki Haley, Ben Carson, Alex Azar, Alexander Acosta and Betsy Devos. Noticeably missing from the “Not Me” group is Jeff Sessions. If someone were to ask who, among all senior Trump administration officials, hates Trump the most, and who, among all senior officials, Trump hates the most, the answer to both questions would very likely be the same — Jeff Sessions. Sessions has been, hands down, the biggest enemy in Trump’s presidency. He has almost single-handedly ensured the creation of the Mueller Coup and the torture it inflicts daily upon the presidency. But Sessions is too obvious a choice as the Op-Ed writer, right? He’s there, out front, and always in Trump’s face, right? He wouldn’t be stupid enough, then, to be the writer, would he? Sessions isn’t hiding and is, instead, seemingly broadcasting his guilt by not joining the other “Not Me’s.” That would make him too obviously a suspect wouldn’t it? Trump apparently thinks Sessions is too obvious a choice to be the writer as well, because he’s calling on Sessions himself to launch an investigation to find the wretched writer. Over the past year, Sessions has demonstrated just how magnificently crafty he is. Sessions was Trump’s first big-name supporter during his campaign for president and seemed to be everywhere, singing his praises. Then, with an avuncular and disarming smile on his face, his soothing southern drawl and warm handshake, he snuck into the attorney general’s office and stole it, right under Trump’s nose. After that, Uncle Jeff quietly proceeded to hand Trump over to a group of political assassins to do as they wish. Sessions has shown himself to be a man who would have been a great success with the CIA as a covert agent, with his talent for appearing to be what he’s not. Is this Op-Ed caper just one more example of how clever Sessions really is? Is he, once again, covertly sliding his always-handy wool over the Commander in Chief’s eyes? Is he the Op-Ed culprit, hiding in plain sight? If we have learned anything about Jeff Sessions over the past year, it is that he has an extraordinary ability to stand in plain sight while he’s busy sharpening his knife for a deadly attack. What Conservatives Want To Know About the Left: What the Heck Do These People Want?